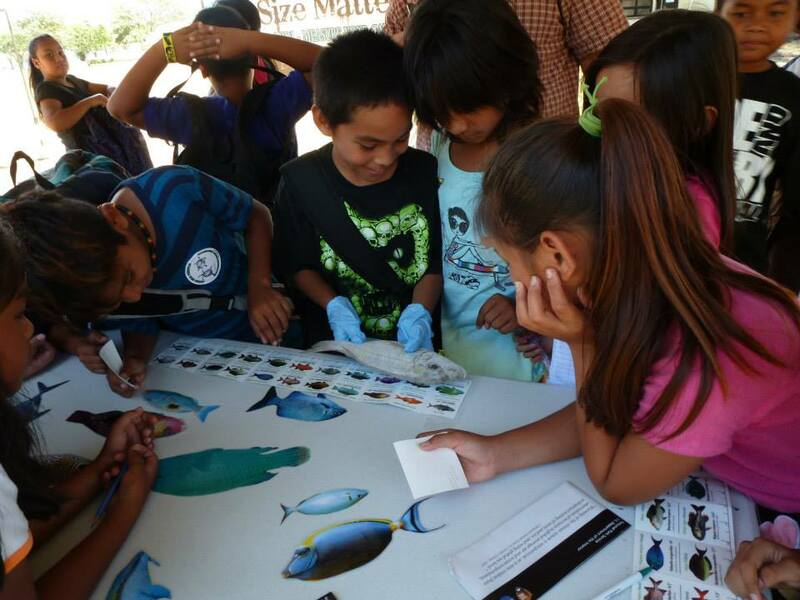 The CNMI CRI has numerous outreach and education events throughout the year ranging from presentations at schools, expos, fiestas, and other community events, to coordinating Ridge to Reef Summer Education Camps on Saipan, Tinian, and Rota. The Bureau of Environmental and Coastal Quality’s (BECQ) Division of Environmental Quality (DEQ) and Division of Coastal Resources Management (DCRM) work with numerous agency and non-profit partners to host free environmental camps for 4th and 5th grade students across the CNMI. Each camp has between 20 and 45 participants. Exciting educational activities such as snorkeling, hiking, bird watching, geo-caching, visits to dumps, dry litter piggeries and cattle ranches, tree plantings and more. Partner agencies included Division of Fish and Wildlife, NOAA, the Coastal Resource Management Office, Forestry, the National Park Service, Rota office of Commerce, the Public School Systems of Tinian and Rota, Department of Public Safety, Tinian NMC CREES, Tinian Cattlemen’s Association, Beautify CNMI, Micronesica Bird Conservation, and many others. Follow this link to the full report on the Ridge to Reef Camps in 2013, and here for photo albums from each island’s camps. DCRM has been holding biweekly presentations with the 4th grade classes at Garapan Elementary School. Presentations have ranged from defining a watershed to learning about coral life cycles.